“You are like the wind that never told me where it was going! When you come, my eyes are filled with tears; and when you leave, you leave grains of sand,” Liu Xia wrote in 1992 to Liu Xiaobo, who would later go on to become her husband. 57-year-old Liu Xia, a pale, bespectacled poet who has long sported a shaved haircut, is the widow of China’s first Nobel Peace Prize laureate, Liu Xiaobo, who almost a year ago passed away of liver cancer while in custody in China. 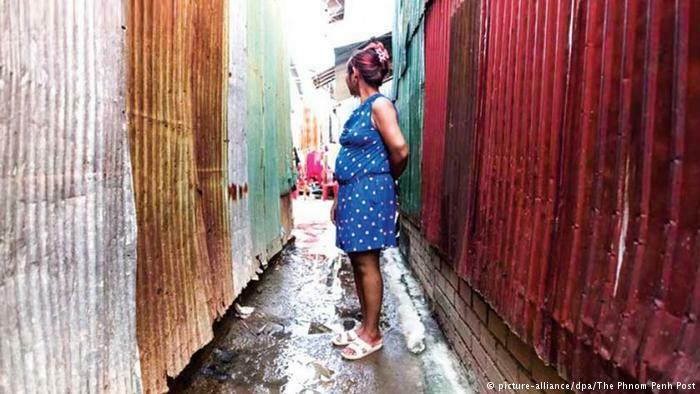 For years, she lived under house arrest and constant surveillance, despite having never been charged with a crime. Liu Xia is the daughter of a high-ranking banking official but “gave up her stable life in favor of writing,” according to her biography on Amnesty International’s website. She first met Liu Xiaobo in the 1980s and then again after his release from prison for his role in the 1989 Tiananmen Square protests, according to the global rights watchdog. The pair married in 1996 while Liu Xiaobo was serving a three-year sentence at a so-called “re-education through labor” camp in Dalian, China, the charity said. It wasn’t a dream wedding by any means. The pair couldn’t even take a wedding photo for their marriage certificate. Instead, Liu Xia had to separately paste two photos of the two of them onto the document. For three years, she used the marriage certificate as a “visitor’s permit” to visit Liu Xiaobo monthly at a labor camp 800 kilometers away from Beijing. She sent him books, wrote letters and postcards. The things that she was not allowed to send, she attached to the walls of her apartment. “Only in this way can I find my inner peace,” she said. While Liu Xiaobo was a famous advocate of human rights and political reform in China, Liu Xia is an equally respected writer and artist and has written a number of poems about her now-deceased husband. In December 2008, Liu Xiaobo and more than 300 other Chinese intellectuals and civil rights activists published the “Charter 08.” This manifesto demanded democratic reforms in China by peaceful means. Nineteen measures were itemized with the aim of improving China’s human rights situation. There were demands for an independent judiciary, freedom of political association and an end to the one-party system. Following its publication, Liu Xiaobo was sentenced to 11 years in prison on subversion charges. The energy Liu Xiaobo drew from Liu Xia was evident during his plea ahead of the verdict. “I’m in prison serving my sentence while you are waiting for me in the inner prison of your heart, your love radiating over the high walls, caressing and warming every square inch of my skin. It gives meaning to every minute I spend in prison,” he said. Liu Xia reportedly told her friend Ai Xiaoming that she had guessed that the “Charter 08” would cause problems in their family life. “I can only do what I have always done, and be patient until the situation changes,” said Liu Xia. 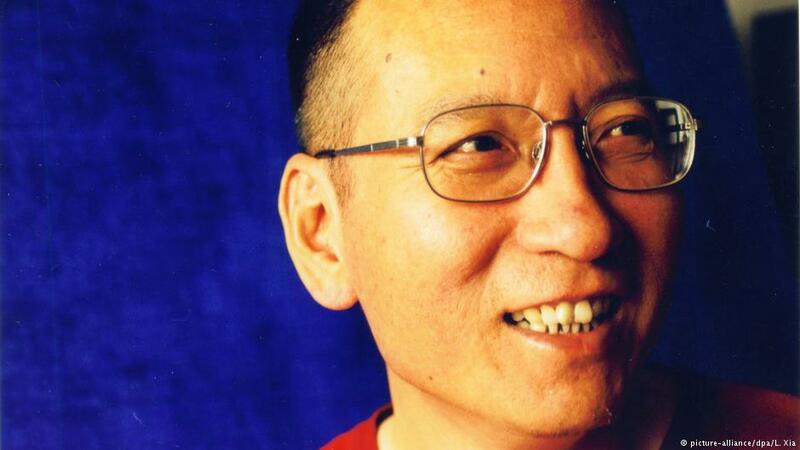 Liu Xiaobo won the Nobel Peace Prize in 2010 — an award that infuriated Chinese authorities. While in prison, Liu Xiaobo was diagnosed with advanced liver cancer. He was released from prison shortly before his death on July 13, 2017. During his long struggle for political reform, Liu Xia was always there to provide moral support to her husband. Days after the Nobel Committee awarded Liu Xiaobo the Peace prize, Chinese authorities put Liu Xia also under house arrest. State security assigned guards around-the-clock outside Liu’s Beijing home and restricted her access to the internet and the outside world, allowing her only occasional phone calls with a small circle of friends. Chinese authorities, however, had consistently maintained Liu was free and criticized Western governments for making “improper remarks” over what Beijing sees as a domestic affair. The news of her release therefore was a rare piece of good news for China’s beleaguered community of activists, who have been at the center of an expansive crackdown on civil society, rights lawyers and other independent groups the administration of President Xi Jinping has deemed a threat to the ruling Communist Party’s grip on power. In the months since Liu Xiaobo’s death, friends and supporters of Liu Xia, including UN human rights experts, have expressed concern about her mental health due to a series of recordings she released discussing her grief. 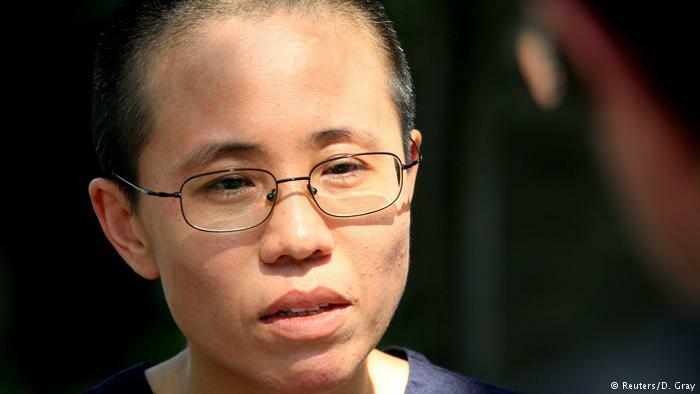 Departing from China on Tuesday for Berlin, Liu Xia left behind her brother Liu Hui, who was sentenced to 11 years in jail on fraud charges in 2013. He was later released from prison in 2015, but on strict bail conditions, and is being held as a “hostage,” according to Hu Jia, a Chinese activist. Liu Xia’s departure comes at the end of a visit to Germany by Chinese Premier Li Keqiang, during which the two countries signed commercial deals worth more than $23 billion (€19.64 billion). Germany, which is also home to dissident artist Ai Weiwei, has been outspoken on rights in China. Germany and the United States both sent doctors to visit Liu Xiaobo during his last days. German Chancellor Angela Merkel has been vocal about Chinese human rights abuses and is believed to have pushed for Liu Xia’s release during her May visit to Beijing, where she met the wives of detained human rights lawyers. This is not a child's feet. These are the legs of adult women who when they were small are crushed, folded & stretched until they remain small. Not seldom they became infected and led to and rotting flesh.